Lin Chi-Wei, 'Tape Music', Polyphonic Social, Abbotsford Convent 2017. Photo by Keelan O'Hehir. Liquid Architecture—headed up by curators Joel Stern and Danni Zuvela—exists for events, exhibitions, performances and situations involving the world’s leading artists working with sound. Liquid Architecture stages encounters and creates spaces for sonic experience, and critical reflection on sonority and systems of sonic affect. 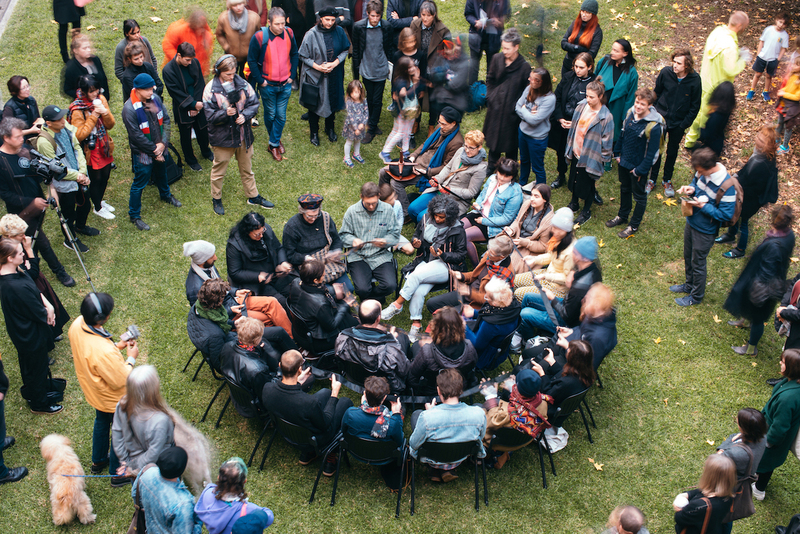 To do this, LA hosts experiences at the intersection of contemporary art and experimental music, supporting artists to produce performances and concerts, exhibitions, talks, reading groups, workshops and recordings in art spaces, music venues and other sites. Once a ‘sense-specific’ festival interested in listening and the depth of individual sound perception, Liquid Architecture has broadened its focus to engage the social, cultural, political, economic and aesthetic frameworks in which sounds take place.